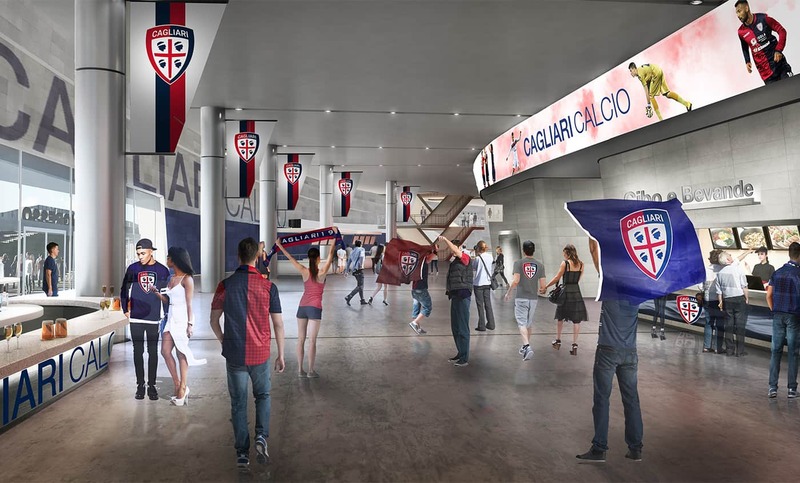 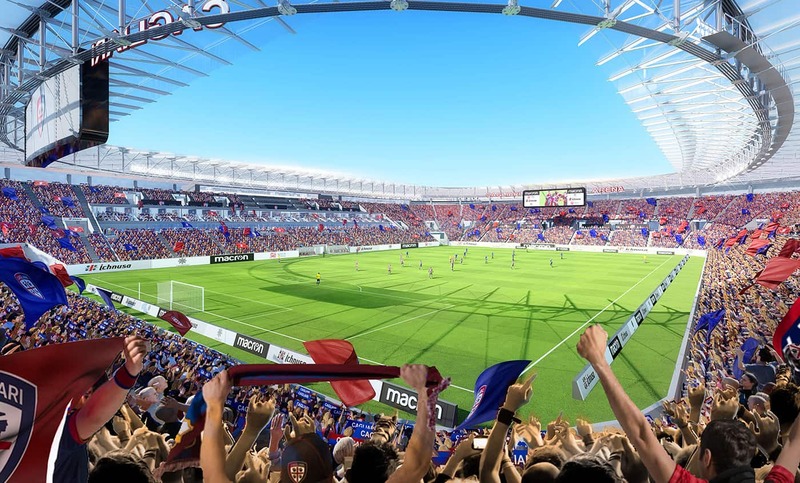 The project of the new football stadium of Cagliari Calcio, presented with Sportium, intends to give life to a real smart arena, perfectly integrated in the external environment. 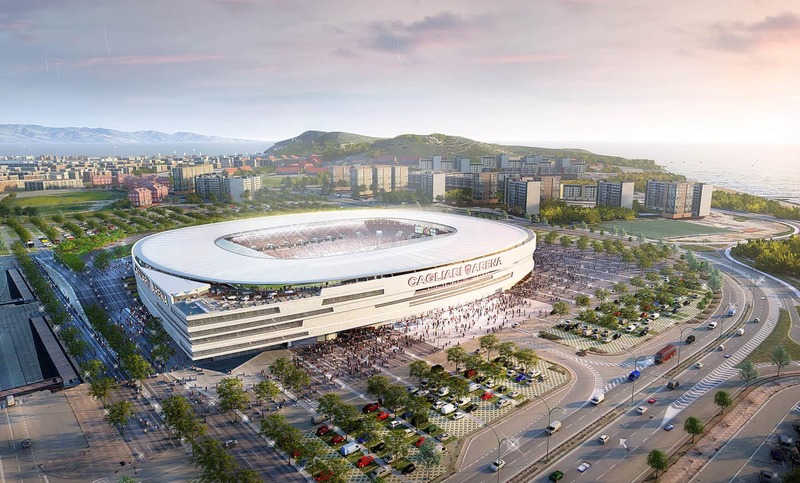 Morphologically coherent with the surrounding environment and with the city of Cagliari, the stadium constantly recalls its chromatic and material peculiarities, being closely linked with the landscape, echoing its essential lines: an intervention of effective re-stitching with different areas. 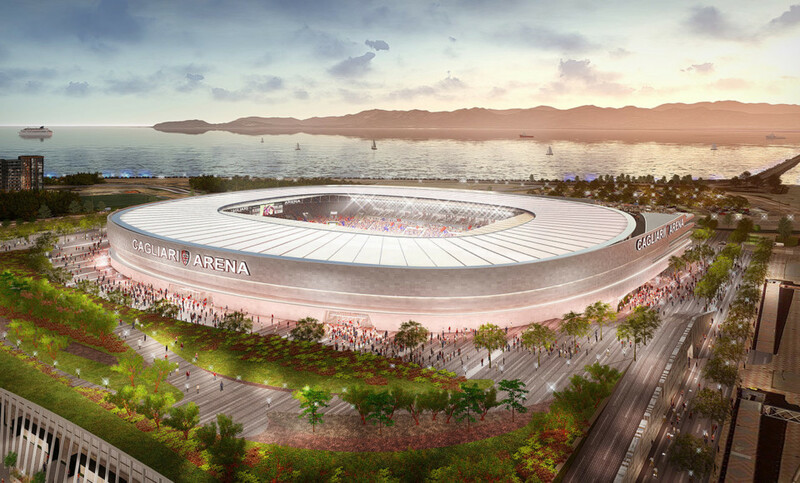 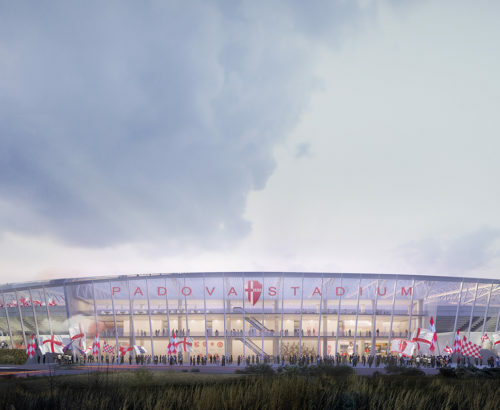 The stadium rests on a paved square, with a strong mineral component, which recalls the material and colors of the coast and Sardinian cliffs. 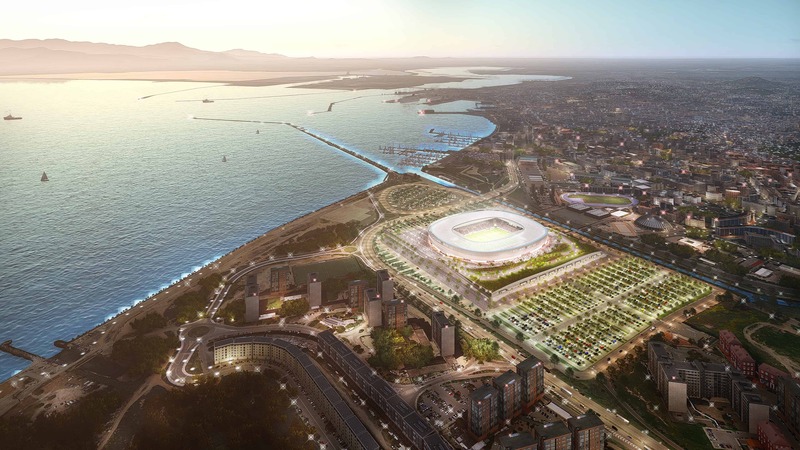 The square rises from the sea inward, following the natural lines of the territory, and becomes a garden that covers the underlying complementary facilities and areas equipped for games and everyday sports practice with the typical Mediterranean vegetation. 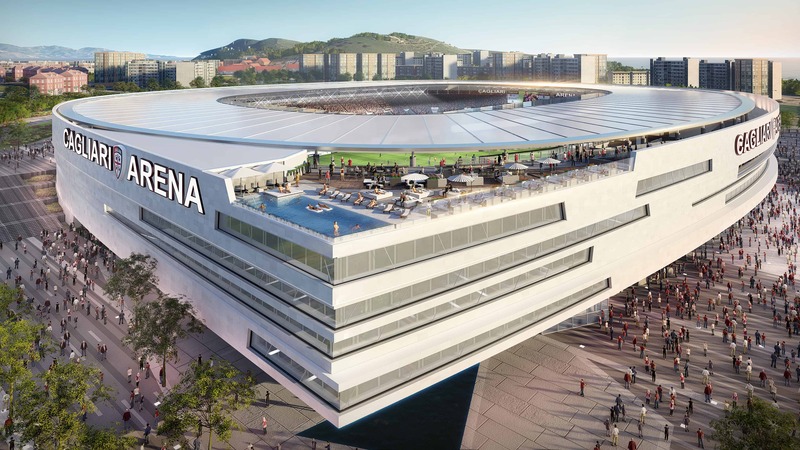 A path designed along the arena will host art exhibitions, accessible to all, leading to the top of the complex, from which you can fully contemplate the vast surrounding panorama. 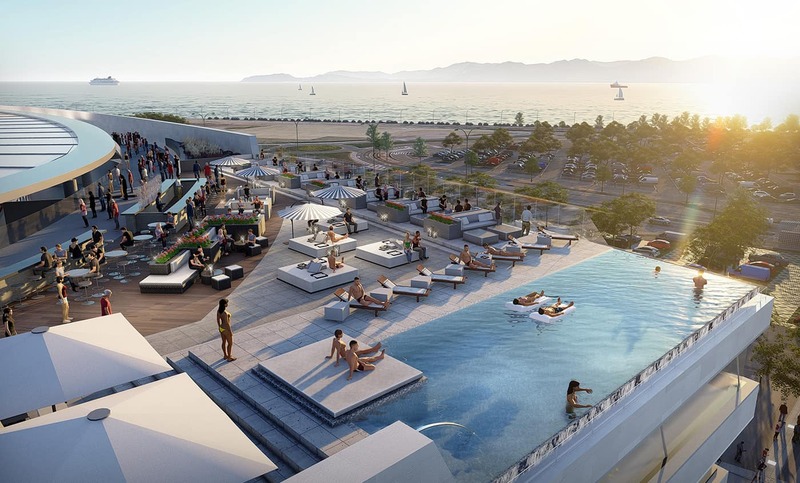 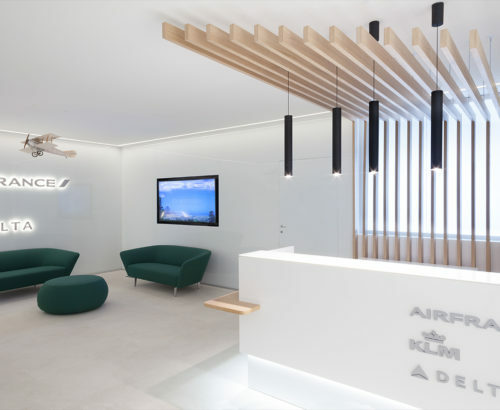 The wide complementary and multifunctional spaces available inside will allow the use of different services, which can range from hospitality, entertainment, retail and restaurants, giving life to a new meeting place for the Cagliari community, a place open 7 days a week. 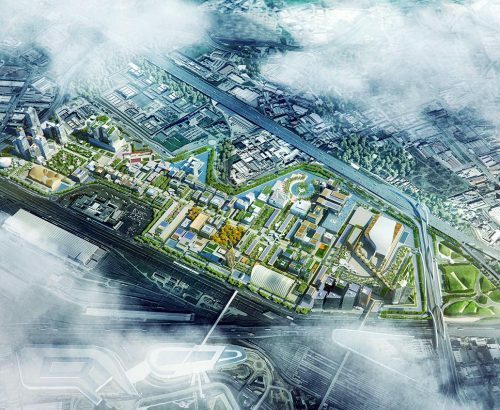 EcoTechGreen Award 2018 - "Iconic Landscape"